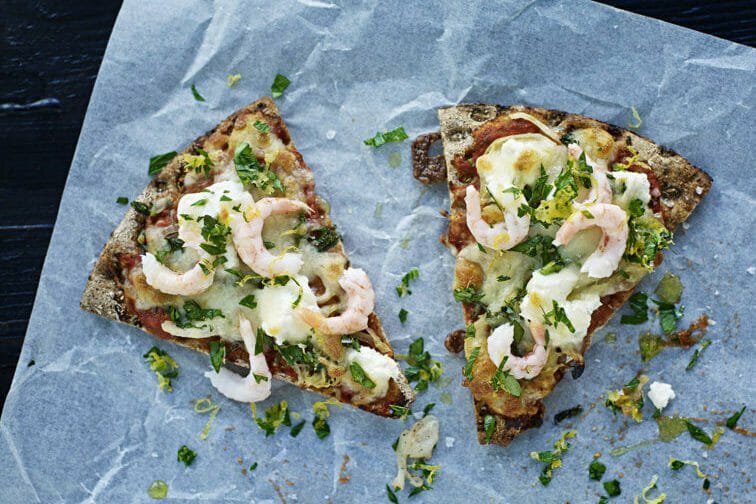 A fresh and zingy pizza with plenty of flavour from fresh herbs, lemon zest, a mix of cheeses and fresh prawns. Pre-heat oven to 225 degrees celsius. Finely chop onion and fry in a bit of butter until soft - add sugar and let caramelise. Season with salt & pepper. Spread the tomato sauce over the base. Add the onion, basil and ricotta - finish with the mozzarella and grated cheese. Bake for 10 mins or until the cheese is bubbly and slightly golden. 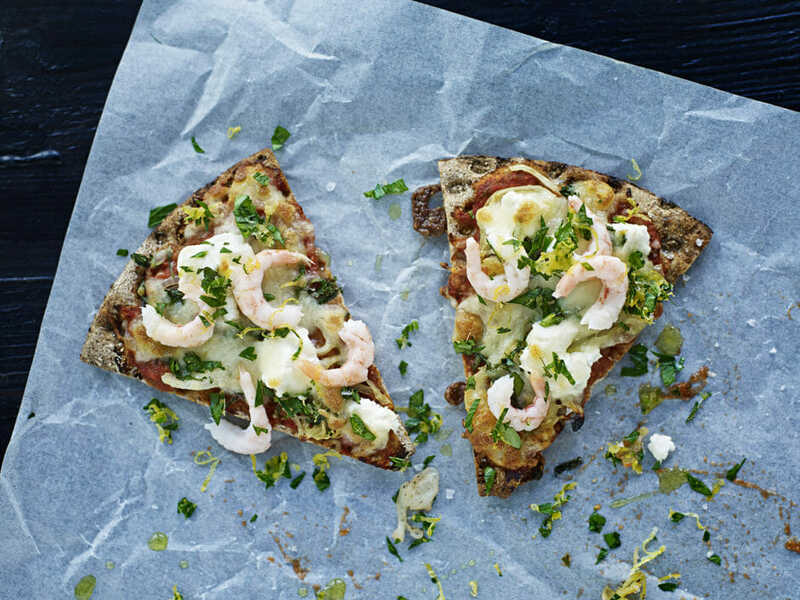 Top with prawns and gremolata - serve immediately. 1. Pre-heat oven to 225 degrees celsius. 2. Finely chop onion and fry in a bit of butter until soft - add sugar and let caramelise. Season with salt & pepper. 3. Spread the tomato sauce over the base. Add the onion, basil and ricotta - finish with the mozzarella and grated cheese. Bake for 10 mins or until the cheese is bubbly and slightly golden. Top with prawns and gremolata - serve immediately. Thanks to our friends at Leksands for the recipe – just mildly adapted for a UK kitchen.